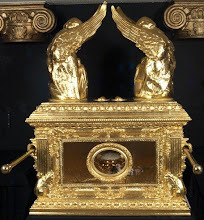 I have not offered much thought or commentary on the 2015 Synod thus far; my reasons are fairly the same as those offered by Ryan Grant in his recent article "Why no synod coverage?" 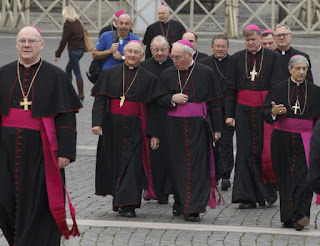 (Athanasius Contra Mundum, Oct. 7, 2015); at any rate, by now there is ample evidence to prove that Synod 2014 was rigged, and nobody should be surprised that the 2015 Synod will be pushed towards a predetermined outcome as well. 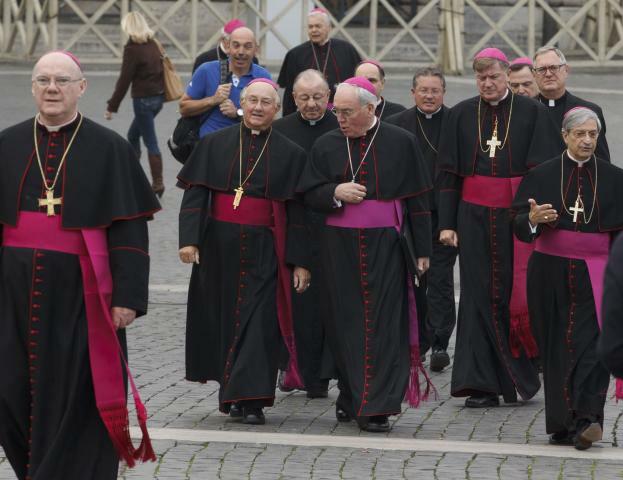 Rorate just had an excellent piece suggesting that the Synod is turning into Vatican III. Radicals will always hijack these sorts of deliberatory bodies, taking advantage of procedure to relentlessly drive their progressive agenda. Is anyone really surprised by this? Anyone who has been paying attention should not be. What is surprising is not that the liberals are trying to turn this into Vatican III, but that the conservatives are making the same fundamental errors they made at Vatican II. Say what you want about the liberals, but they know how to set an agenda and ram it through. They position themselves to get the right press at the right time. They appeal to the emotions. If they want something done, they get their people in the right places, dominate committee discussions, relentlessly use the parliamentary processes to drive their agenda, and shut down opposition. They find pretexts to eject orthodox candidates from seminary. They orchestrate the firing of faithful Catholic journalists. In short, they fight. I have been in government before, and I tell you, those who win are not necessarily those who have the best or "right" ideas, but those who know how to use the existing authority structure to facilitate the implementation of their ideas. They fight and they use the system and its structures to fight for them. Conservatives do not fight, at least not in this manner. Sure, they think they do; we talk about fighting the good fight and all that, but by and large conservatives do not try to drive their agenda. Conservatives tend to take the misguided position that merely speaking the truth is sufficient. That, in the face of the liberal onslaught, it is enough to calmly reaffirm the Church's constant teaching, perhaps in the naive confidence that the truth will always win out in the free marketplace of ideas. Are the liberals ramming through a heterodox praxis? Publish an article on the Church's real teaching. Are they dominating the procedures of a meeting to get their people on the right committees and drive their agenda? Give a talk. Just speak the truth. Hand out copies of a book. The liberals recognize that the Synod - or, in another historical context, the Second Vatican Council - presents an opportunity to get something done. They understand it as an event, a moment in history at which a turn can be taken. By and large the conservatives didn't (and don't) take this approach. They viewed it more reductively in terms of the language used in some documents - as if the momentous importance of an Ecumenical Council or this horrid Synod could be reduced to some vocabulary! This was the approach the conservatives took at Vatican II. God bless them for what they did do, but as Dr. Mattei has pointed out in his excellent book The Second Vatican Council: An Unwritten Story, the conservatives fundamentally failed to understand what was happening at Vatican II (see here for our review of Dr. Mattei's book). By a narrow focus on what sorts of wording was creeping into the documents, the conservative fathers failed to understand that the Council was being used as an event from which to institute massive change in the Church in a manner that went far beyond the problems of the documents. Neo-Catholic apologists continue to make this error to this day whenever they choose to narrowly focus on the documents of Vatican II, as if the import of the Council was exhausted by the documents. The same mistake is being made again with the Synod, although this time the conservatives are in a much weaker position. Why? Precisely because they have continued to make the same error for fifty years, a consequence of which is that liberalism has made such astonishing gains since Vatican II that a conservative reaction has much more against it than it did in the 1960's. How could conservatives have conceivably "fought back" more than they did? It is interesting to read Pope St. Pius X's Pascendi with this in mind. Pascendi, of course, was the famous encyclical which exposed and condemned Modernism. But Pius X was not content to simply speak the truth; he put his convictions into practice by taking positive action against Modernism. Pascendi decrees that Modernists be deposed from teaching positions. If they are clerics, their bishops are to place them in the most obscure of offices where they can cause little trouble. Their books are to be censured. The Oath Against Modernism is instituted. Anti-Modernists are promoted while it is made known that no Modernist has any future possibility of promotion (if only that had remained true!). SO vigorous was his assault that the Modernists and progressives complained about his heavy hand. In short, Pius X never thought merely stating the truth was sufficient; he needed to use the power at his disposal to see it pushed through. What could conservative bishops do, or have done, that they have not? Vigorously punish heresy in their own dioceses. Keep strict watch on the activities of certain priests and suspend, dismiss or defrock those who clearly dissent from Church teaching. Preach the truth boldly, including explicit condemnations of particular groups or ideologies, even condemning heterodox teachers or priests by name when necessary. Go beyond the typical non-offensive, wishy-washy bishop-speak. Use the resources of a diocese to publish actual informative and instructional materials, not the sort of nonsense most dioceses put out. Actually issue liturgical directives to promote tradition. The contemporary Church documents offer considerable leeway in how liturgy can be done; the upside of this is that the bishop is given the final call on all of these options. A bishop could easily say, "No guitars and drums at any diocesan Mass", or mandate sacred chant, or compel every parish to offer at least a monthly Traditional Latin Mass. 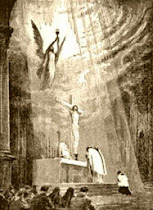 Novus Ordo Masses must at least incorporate Latin and be said ad orientam. Dismiss lay persons or members of subversive religious orders from their diocesan committees. Actually use the tool of excommunication against dissident theologians and dissenting Catholic politicians. Use resources of the diocese for meaningful ( I stress meaningful) social activism. Example: One priest told me there used to be a scummy motel near his parish that was frequented by prostitutes. He raised some money, bought the motel, and had it torn down. What if the millions raised by our diocesan appeals were used for such uses? Organize at the regional level and use their weight to push through appointments within the USCCB or elsewhere that were favorable to them while simultaneously using their influence to keep out liberal appointments. Host guest-speakers friendly to tradition and forbid those who are not. Forbid Catholic schools and hospitals from engaging in activities harmful to the Catholic faith and actually back up these directives with the appropriate force. Fire all Catholic school teachers who are in immoral relationships. Actually celebrate the Traditional Latin Mass and require all seminarians to know it and be comfortable with Latin. 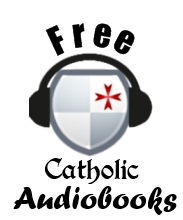 Publicly censure books and films hostile or dangerous to the Catholic faith. Mandate traditional arrangements in the architecture of sanctuaries and churches; stipulate that no parish has the right to undertake any renovations unless personally approved by him. Promote priests who cooperate with this agenda and punish those who don't. In short, never, never miss an opportunity to promote tradition and actively punish and repress liberalism. Speak the truth boldly but also use the weight of the office to silence, retard, dismiss or dispirit the liberal opposition. The thing is, though, because of fifty years of not doing these sorts of things, there is much fewer truly conservative bishops than there were in 1963 - and the likelihood that any one of them will take up such an aggressive program of orthodoxy. And, if they did, there is a good chance they might not find themselves in their See for very long. But this position of weakness only comes from being weak for too long. The point is that speaking the truth alone is not enough. One must have an agenda and one must drive it relentlessly. That is what the liberals have done successfully for over 200 years. It's what faithful Catholics used to do. Perhaps the modern Church lost the stomach for that sort of thing when John XXIII advocated using the "medicine of mercy" instead of the Church's traditional arsenal of weapons. Who knows. But the fact is, episcopal defenders of tradition had better be prepared to not only speak the truth but to use the powers of their apostolic office to actually enforce it. Otherwise, they (and we) will be like a man on a sinking ship, sitting calmly on a deck chair proclaiming that the ship is sinking while doing little else to stop it. Certainly, as the ship disappears beneath the icy, black waters, we may have the consolation of saying, "See, I was right! I told you the ship was sinking"; but then again, if the ship goes under and the passengers all die, this consolation is quite empty indeed. Your post is exactly what I have been thinking for years, the “conservatives” are weak and they don’t know how to fight. You have to be constantly on the offense, not defense. Defense means you are not moving and you dance to the tune of the enemy. The neo-cons always point to someone, even the Pope, and say “hey look they said something orthodox!” Yeah, okay. No action. No counterattack. 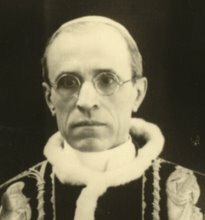 St. Pius X’s actions are often criticized for being too harsh, and their opponents point to Benedict XV’s relaxation of the counter-Modernist assault. 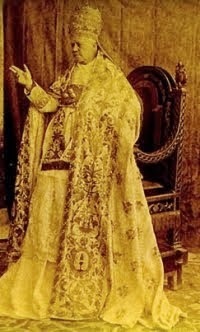 Whether some individuals went too far is perhaps something beyond the control of St. Pius X. Actually, if you know anything about this can you do a post on it?? Also, I think the thing you mentioned on the “medicine of mercy” was picked up by several people, conservative and liberals. This concept was hijacked and used to vigorously hoist a new mindset on the Church after the council: hyper mercy, without justice. This would be one reason, among many, as why some bishops or those in authority do not act much anymore and that they don’t go on the offense. This is because the concept of traditional discipline has been characterized as being equivalent to alienation. I have always voiced my opinion that those in authority take action and the reaction I get, from even so-called “conservatives,” is that it will drive people out of the Church. The liberals have transformed people’s perception of normal Catholic disciplinary actions into “uncharitable” and “alienating” reactions. This is how they read the “medicine of mercy,” I know because I was taught by some of them. The council’s rejection of anathemas bolster their agenda and weak Popes like Paul VI, who did not put up much of a fight in 90+% of the things he dealt with, also emboldened them. Nice to see you again, Alexander! I agree with the sentiments expressed here completely. This is exactly what I've been thinking for a while. Thank you for the article. It's a shame that liberals know how to use their time (even if it is for evil) better than do faithful Catholic priest and bishops. Excellent analysis! Yes, the children of the world vs. the children of light. There was one "conservative" bishop who, though his fight during the Council failed, did fight effectively afterwards: Archbishop Lefebvre. 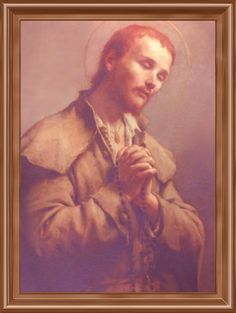 And the relentless persecution of him and his Society, ever since he established it, proves that the liberals were afraid of him for being as well-organized, or even more so, than they were - and with far fewer material resources (but far greater spiritual resources). The factor you leave out is that during and after the council, as now, the modernists were supported by the pope. Fighting them meant fighting the pope. Only one bishop was willing to do this, and he was ostracised and attacked by the conservatives. Well as Dr. Coals pointed out above, Lefebvre did not begin to "fight" until after the Council. And I personally think it is the case that by getting himself excommunicated Lefebvre actually put himself in a situation where it was no longer possible to fight within the existing situation. After 1988 he became more of a pariah among the hierarchy and I think this negated the influence he could have had. Not that he wasn't somewhat of a pariah before, of course. You are absolutely right and the most maddening thing about it is that we laymen (as far as I can tell) can do very little to nothing about it. Too often, conservatives within the Church end up conserving yesterday's innovations. There has been an unhealthy ultramontanism and positivism at work for several generations - it was a bearable problem so long as popes were traditional in outlook, but it became crippling once a liberal (Paul VI) finally captured the office. Some of this agenda could be implemented immediately, or near enough. Some of it...might require some prep-work, depending on just how entrenched liberals are in the diocese, and how many allies you can find among laity and your clergy (look how long it has taken Lincoln, the most conservative diocese in the country, to start implementing celebration of Masses ad orientem). If all you have are a couple of outcast priests and a handful of cranky traditionalists...well, life will be very difficult for you. One thinks of Bishop Robert Finn, who actually attempted a much more modest version of this in Kansas City. Inheriting a diocese that had long been one of the most liberal in the country, he immediately fired vast swaths of diocesan staff, replaced the entire pastoral education institute with a new one, remade the diocesan newspaper, overhauled vocations and promptly set up a personal parish for the Institute of Christ the King. He invited in a traditionalist group of contemplative nuns. He issued some strong pastoral statements. All of which made him deadly enemies, in his own presbyterate and beyond, ready to strike at the slightest misstep. And once he made that misstep (the Fr Ratigan case), his days were numbered. There's lessons to be learned from his rise and fall for future tradition-minded bishops. You can't afford any mistakes. You need allies. You need to communicate well. You need patience since it takes probably 15-20 years to really make a major impact on your diocese (it is always easier and faster to destroy than to build). And you'll need to be very holy to bear the assault you'll receive. 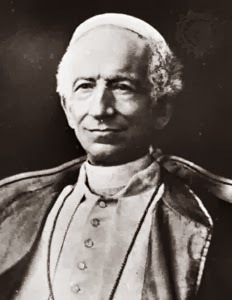 "St. Pius X’s actions are often criticized for being too harsh, and their opponents point to Benedict XV’s relaxation of the counter-Modernist assault"
2) Benedict XV's encyclicals such as Spiritus Paraclitus are ANYTHING but modernist. 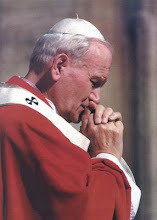 3) His reaction to the Czech National schism in 1920, during which the Holy Office did not hesitate to impose mass excommunications against hundreds of priests while the Holy Father himself declared that the Apostolic See will never mitigate the law of celibacy. Perhaps the enthusiasm for the fight against modernism wavered a bit under Benedict XV, but that could easily be explained by the exigencies of the first World War and normal loss of enthusiasm that attends any prolonged enterprise. But I think it is incorrect to directly blame Benedict XV himself for weakening the fight against modernism. Boniface, thank you for your post. I have seen the argument before, that our enemies are attacking us and we aren't responding in any meaningful way. But the overall impression I got from those was that we were somehow to adopt their tactics, a rather unsavory proposal. Which is why I really liked what you wrote. You explained that what we were missing is simply that our shepherds do their jobs! Every single example you give of what bishops should have done is just being a good bishop. I think we had a few other things to consider. Namely, we live in a new cultural paradigm. The problem with conservative approaches is that it is difficult to communicate why the old paradigm is better. As you mentioned in an earlier about the Middle Ages Churchview, harmony is extremely difficult to maintain. The world is a much smaller place now, there is more competition at the marketplace so to say. The most effective conservative tactics seem to be those that cling to fear or insecurity, but that will always lose to the liberals change for change sake even there is no benefit to the change. They do that as Michael Voris once highlighted a few years ago by beating the same drum over and over again, lulling people into the change, though it does not serve their interests, spiritually, culturally, or materially. Especially, when you preach a hyper-egilitarianism that is common these days, where one can't offend anyone unless you are white, male, and Christian. Not to be pessimistic, but at this point in the game, we have clerics who rather adapt to the culture rather than drive it. It might be best to let it all burn down and rebuild it. A warning though about using the authority, the more hydra heads you cut off, the more grow back, typically more vicious. Frankly, I would rather find an outlet for these dissidents or at least a way to isolate and minimize their influence. In America, where the anti-hero is more beloved than the hero, it is really important to prevent any kind of martyr complex for the heterodox. I totally agree with the measures you pointed out, Boniface. My favorite saint, Ezequiel Moreno Diaz (see the avatar), fought an all-out war against liberalism in his diocese of Pasto in Colombia, even writing a pastoral letter condemning one of his priests by name for advocating a middle ground with the political liberals (i.e. masonry or other anti-Catholic movements). 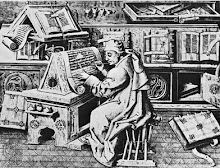 He als asked his diocesans to use their talents, for example their writing skills, to combat liberalism. Bede Jarrow, you might be right that some might venerate the heretical "anti-hero", but that has never deterred the Church from using excommunication in the past. It's imperative to use it, even if some built a personality cult around some insignificant heretic or schismatic. By their fruits you shall know them. Exactly!!! Astonishing how the synod is being played the same way. It matters not what the participants say or do or write - the message will be spun to the desire of he who controls it. I am still surprised that not much mention has been made that in Sin Nod 2014 a majority approved the hideous document. But for the 2/3 requirement, it would have been official. Sin Nod 2015 is even more stacked, and rules changed to simple majority (assuming PF even cares about the rules). I love this commentary. Just a great point and absolutely true. We need to learn the strategies that work so well for the left and apply them. Some of it is, well, ungentlemanly, for lack of a better word. We need to get over that, I think. One word jump out at me; 'power'. When was the last time it was used in the church? It's as if the pope(s) have lost this charism , at least in my lifetime. We are sheep and without this kind of guidance, we will stray. What you desribed in your fourth paragraph so excellently, their method, is the Masonic System at work inside organizations, especially political parties. They will try and control all of the major ones simultaneously, and thus government and all of us. The Church is the last target.